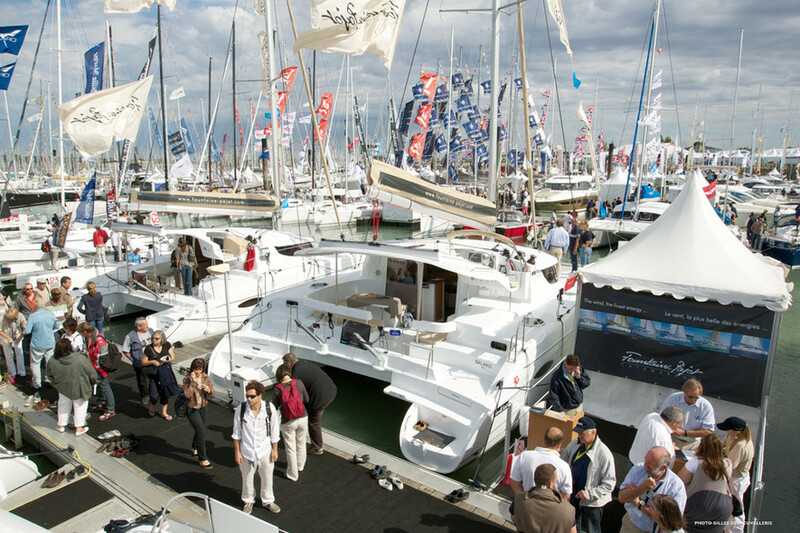 Create a notification for "boat show"
Every year, buyers, professionals and fans of multihulls will converge on the numerous boat shows which take place in marinas around the world from September through the start of the next year. As usual, this year, these shows will be the chance to see what the shipyards have been cooking up for us, and also to hear from the horse's mouth (in complete confidence) what they are planning for the year ahead. This is the trend that we have seen in recent years: New designs are kept under wraps for as long as possible, and again this year at the upcoming shows, you will discover boats that were not mentioned anywhere (unless you know how to read between the lines of Multihulls World). Whilst it's always nice to see a new discovery "in the flesh", this isn't the only reason to visit a show, were you can see many multihulls. The boat shows are the only real chance that you will get to go from one model to the other, weighing up the advantages and disadvantages of each one, and working out which one best suits your needs. From Cannes to Miami and from La Rochelle to Annapolis, you will be able to check them out time and again and even try out up to forty multihulls. The shows also offer an opportunity to do a bit of shopping: rigging; sails; batteries; electronics; insurance; finance and those all important deck shoes. Everything you need for your next trip is available. You can even renew your Multihulls World subscription: often at very tempting "special show prices!" THE show not to be missed in 2019: see you all at La Grande Motte, in the Mediterranean! Miami International Boat Show : THE US Boat Show not to be missed!